Add a layer of spinach to bottom of bowl, then add sliced cucumbers, strawberries, apples, pecans, and goat cheese. Continue this layering process. 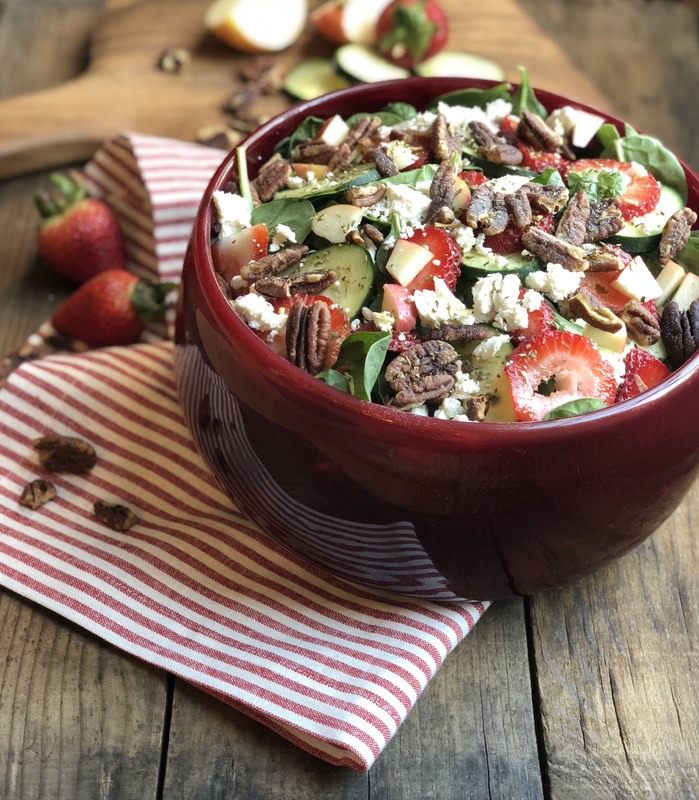 Top with remaining cucumber, strawberries, apples, pecans, and goat cheese. Add salt, pepper, and fresh basil. Toss with dressing.